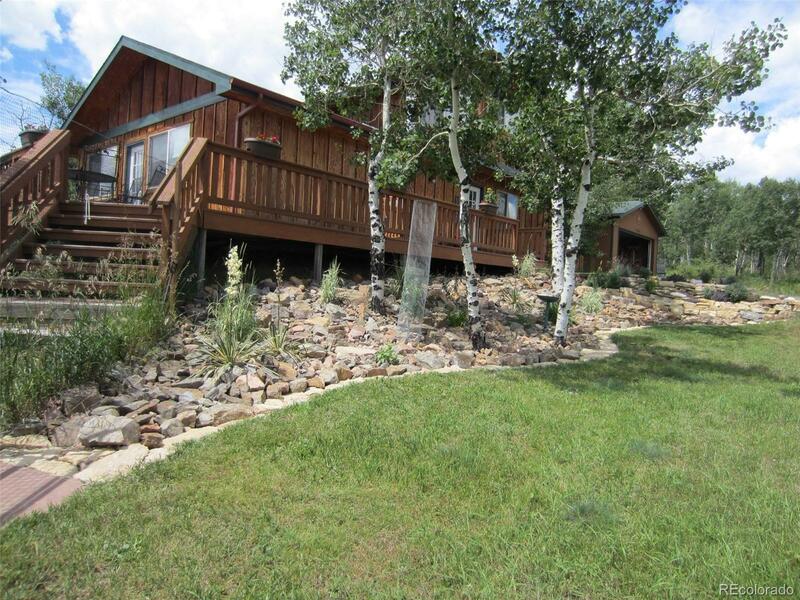 Gorgeous 2-Sty Mountain Contemporary Home Situated on a Flat 1-acre Corner Lot. Fantastic Location Close to Conifer schools, Walking Distance to the RTD Park n Ride, Grocery Stores, Dining & Easy Access to Hwy 285. Beautiful Mountain Views from the Extra Large Recently Updated Deck! Open Floor Plan with a Spacious & Bright Living Room & Dining Area with Gleaming Wood Flooring! Kitchen has Loads of Cabinetry & opens to Living Room. Beautiful Kitchen China Cabinet Stays. Large Main Level Laundry Room is Equipped with Washer & Dryer, Sink & Extra Storage. 2 Masters-One up & One Down. Upstairs Master Suite Has its Own Bath With Jetted Tub & Separate Shower. Full Bath on Both Levels! Sunny Loft Area can be Used as an Office, Relaxing Respite Area or Play Area For the Kids. Property has Southern & Eastern Views. New High Efficiency Windows 2017, New Furnace 2015, Paved Driveway 2015, New Carpet Upstairs 2014, New Gas Stove in Living Room 2013! Oversized 2-Car Garage. Greenhouse.